The bicycle baby stoller is a bike and baby stroller combo where you strap your baby into the front of the bicycle and use your child as a safety device so that incase you were to get into a bicycle accident, you will not be harmed and your child will serve as something similar to an air bag for your bicycle. 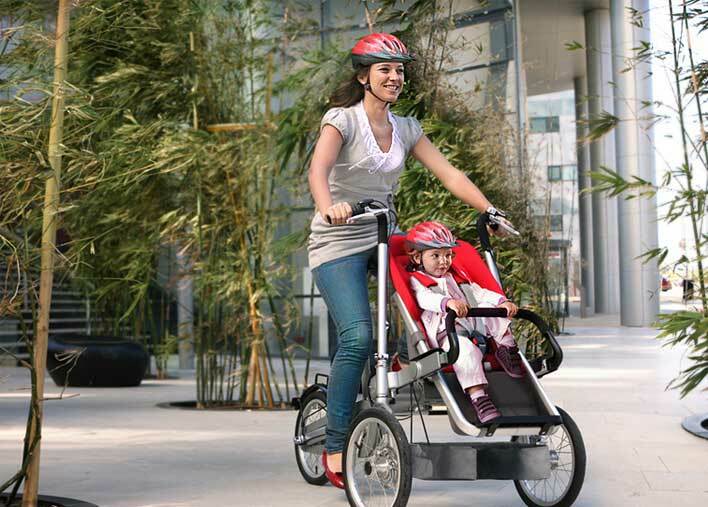 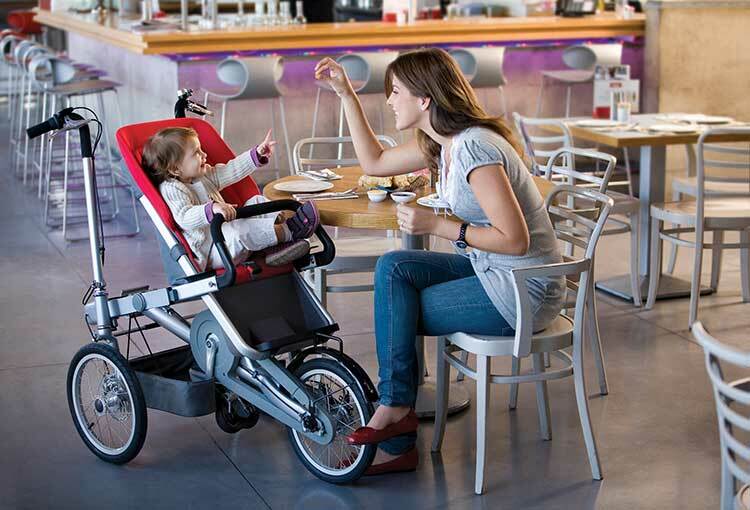 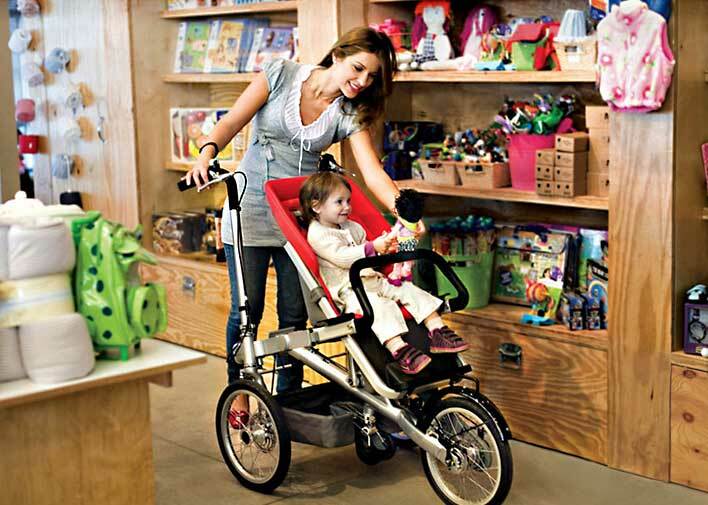 The bicycle baby stroller can be converted from a bicycle to a regular push baby stroller in just 20 seconds time, is made from high finish aluminum, has 16 inch wheels, and weighs between 44-64 lbs depending on your configuration. 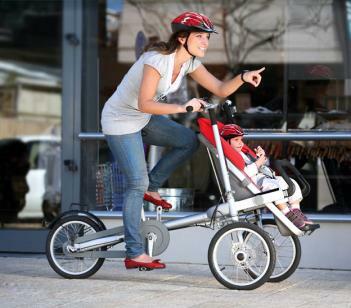 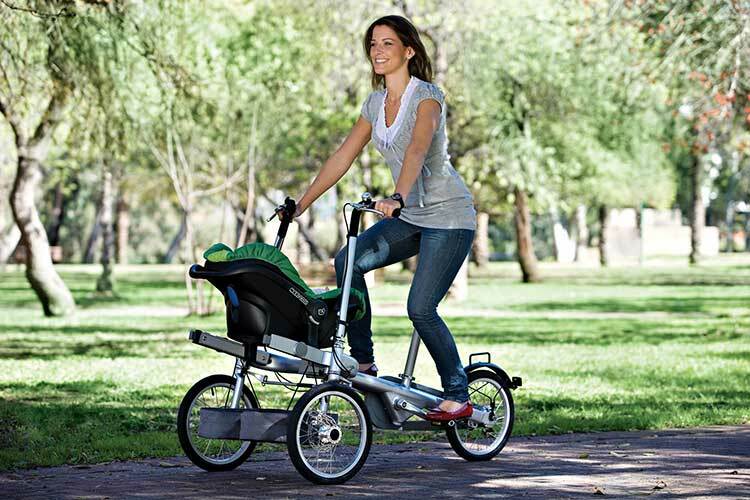 Check out the bicycle baby stoller in action via the video below.